Alicante is the capital of the province, situated in the middle of the Costa Blanca, meaning White Coast, named after it's sandy white beaches that stretch as far as the eye can see. The colourful historic quarter or 'el barrio' is lined with terrace cafés and unique shops. You'll experience a truly fantastic Mediterranean night life, not forgetting to taste the traditional sea food dishes and paella beforehand! The climate in Alicante is unbeatable, basking in warm temperatures all year round with hardly a drop of rain (roughly 20 days per year) - a perfect seaside spot quite fittingly known by the Spanish as 'the city of the sun'! The Spanish Language School in Alicante is a modern and spacious building in keeping with the local Mediterranean style. Located on the seaside promenade 'Paseo de la Explanada'. You can study amidst palm trees with spectacular views of the majestic Alicante harbour, just a couple of minutes from the beach. Ideally based near a busy commercial street and on a main bus route. Our Spanish school caters for 150 students and is undoubtedly an idyllic setting to learn Spanish in Alicante. Minimum student age is 14 years old. 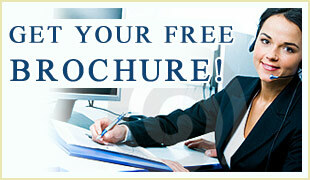 Read up on the Spanish Courses Alicante. 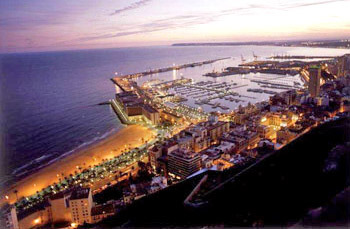 Find out what Accommodation options are available in Alicante. Discover some of the Activities & Excursions organized by the Spanish school in Alicante. School Services & Facilites in Alicante.